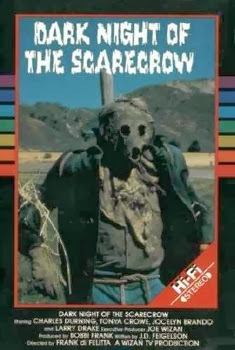 Dark Night of the Scarecrow was released on October 24th, 1981. Filming locations include Piru, CA. That's great. Thanks for the info on locations. I love this movie and had wondered where it was filmed. Glad to see some locations still exist. Awesome job on this made-for-tv classic! However, there's another location to add: Mrs. Bunch's boarding house, where Hazelrigg lived. It's right on the southwest corner of Main St and Center St. That same building was also used as the Sunnyvale Rest Home in the 1983 Twilight Zone movie. Great find! I just added that location to the Dark Night of the Scarecrow page. Very cool I love this movie. I wish they'd remake it as a big budget movie. But keep it as close to the original as they could. Or Marvel would do it using their Scarecrow supernatural character. Who was sort of a Ghostrider character. From Dead of the Night #11 Aug 1975.